By now, there’s every chance you’ll have seen the fifth-generation Land Rover Discovery, revealed at the Paris motor show. 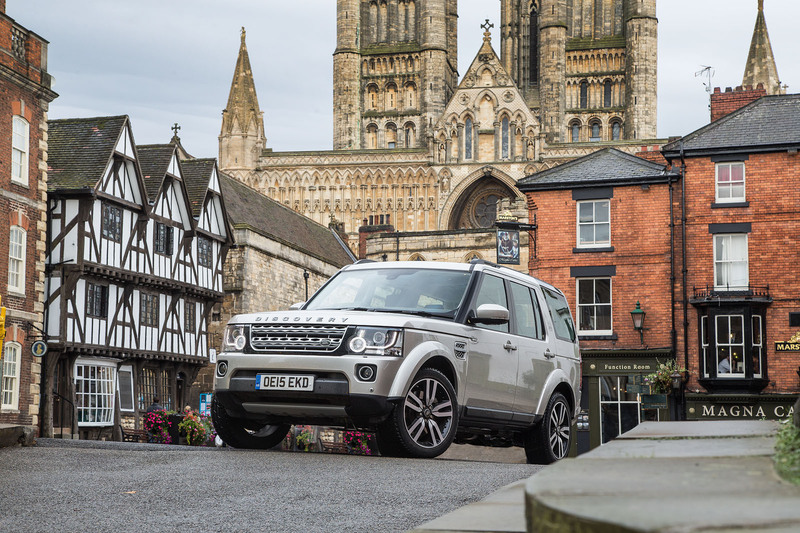 It’s lighter, lither, swoopier and 36% more Range Rovery than the Discovery 4, which is about to bow out… how? ‘Gracefully’ is the preferred way we’d all like to go, isn’t it? With dignity intact. Some sports people at the top of their game prefer to have people ask why they’re retiring already, rather than waiting until they’re into their decline and having people ask when they’re going, or why they haven’t gone. I’m not sure the analogy translates to cars, but I’m also uncertain that there’s a suitable analogy for the drive we’ve got planned. To see what the Discovery 4 is like this late in its life, I’m driving one the length of the Fosse Way, one of the country’s best-known Roman roads. I’ve driven bits of it before, like you perhaps have too, with or without knowing it. Tenuously, you could say I want to try a car ingrained into the rural British way of life on a route that’s yada-yada-yada, but the Fosse Way has had two millennia to get there, and comparing a Land Rover to a Roman road feels more than a touch Accidental Partridge. The short of it is that I need to drive a Discovery somewhere, on and off road and for a decent amount of time, to see which of its traits the next Discovery should retain or lose, and have some decent pictures taken of it while I’m at it. And the Fosse Way is as good a place as any. The Fosse Way links Exeter, or thereabouts (we’ll come to that), and Lincoln. Draw a straight line between the two and apparently the path is never more than six miles off it, and it passes – not coincidentally, you’d imagine – through Bath, Cirencester and Leicester. Stan Papior, photographing, tells me he drove the route two decades ago and remembers some serious off-roading. I’ve no idea how much we’ll find today but have decided we’ll drive as much of it as is passable. Where it’s road, we’ll drive it, where it’s byway, we’ll drive that, but where it’s private land, we’ll have to go around. Two days sounds about right to cover its 230-mile length. So anyway, we don’t start in Exeter. There’s a bit of debate about where the Fosse exactly begins, so someone on the internet says, and that suits our purposes just fine, given that the road doesn’t become truly established until you’re a few miles inland. And given that the view is nice in Seaton, Romans landed there and the original road from Seaton meandered alongside the river Axe up towards Axminster, through which the Fosse Way definitely passes, Seaton is where we start. Even on the drive down to Devon, the Discovery reminds me that it still has plenty going for it. Sometimes, in an instant, the new version of a car can make the old one look dated. But to my eyes, recent Land Rovers and Range Rovers make their immediate predecessors appear restrained and classy. If there’s any hint of old-fashionedness about the Discovery 4, any links to its dated predecessors, they’re there for a reason. With familiarity, the list of things to like about it grows by the minute. The seating position is high because the floor is high and Land Rover wants to offer you a commanding view. The window line is refreshingly low by most of today’s standards and the glass area is large, to afford you a good view of the car’s extremities. Yes, the look is bluff (hence the high 0.40 drag coefficient), but from inside you can see the squared sides and where the bonnet ends, while the low-cut rear window, although no longer framing a spare wheel on the Discovery 4, gives a better view out of the back should you, say, be reversing towards a trailer. The split tailgate’s lower half is short so it doesn’t clang on a nearby trailer’s jockey wheel ratchet, and it also means you can open up the boot without inviting the dogs to jump out, or use it as a seat and the top section as a shelter while you remove your boots. The door mirrors are so big you won’t need extensions if you’re hauling a horse trailer or caravan - and the turning circle, at 11.8 metres, is tighter than a Volkswagen Tiguan’s or Volvo XC60’s, both from the class below. 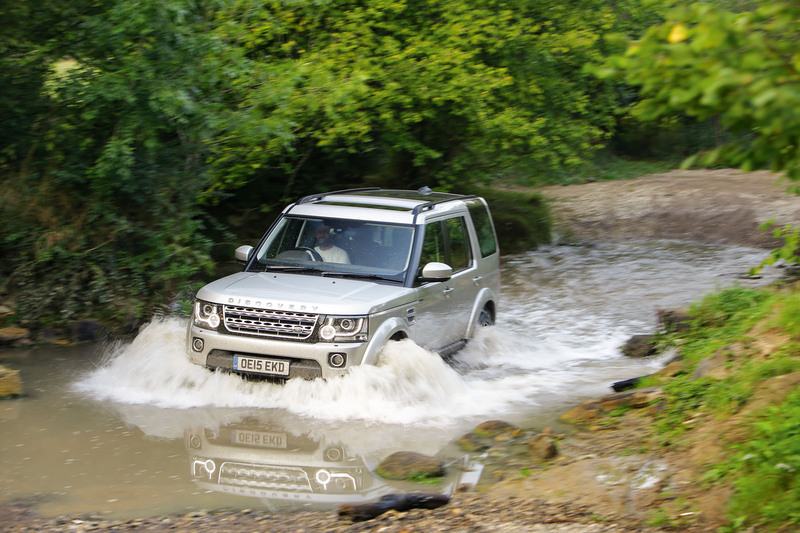 The Discovery is an intensely well thought-through car for the country. Immediate familiarity with the Fosse Way, meanwhile, is frustrating to the extent that I’m starting to think this is a bad idea. I’ve looked at maps, satellite images and other people’s versions of where it goes, but between a few bits of single carriageway, what I think could be the route goes over a farm (private) and stately home (also private) and then it definitely goes over a hill, but only as a sunken, narrow footpath. We have to go around them all. It takes until you’re into Somerset to find a road or house with Fosse in its name, and then the road is two-lane, unstartling blacktop. Albeit becoming notably straight. By this time, including the drive down there, I’ve been in the Discovery for the best part of a working day, which is long enough to establish that it’s flippin’ comfy. It has a loping ride on the air springs that are standard on this high-spec, £60k model and, with light, smooth steering that requires three-and-a-third turns between locks, it takes the ‘S’ out of ‘SUV’. It is a ridiculously easy car to like, although the 27mpg we average is less pleasing, plus there’s the fact that the Discovery has never exactly set reliability surveys alight for the right reasons. 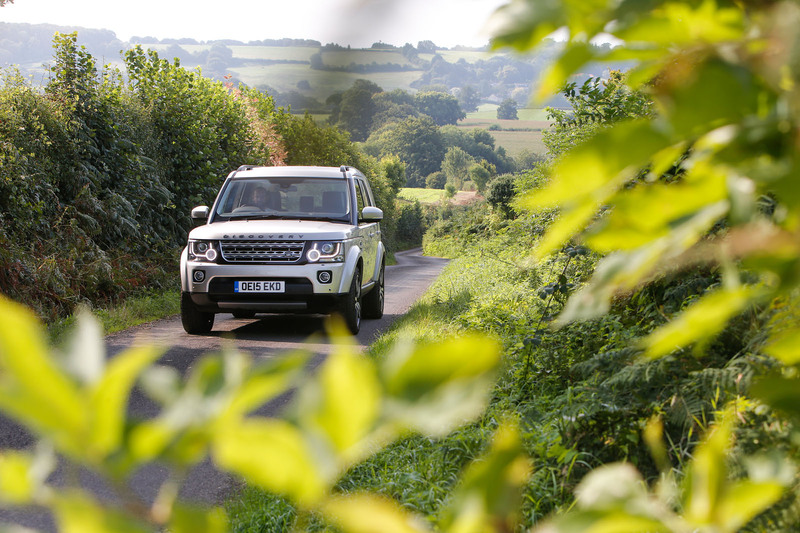 The first chance to test the Discovery’s off-road credentials, albeit still well within its comfort zone, comes on the way out of Shepton Mallet after a drive through an unpromising industrial estate and come across an unlocked, narrow gate. Half a mile later the track becomes tight and uphill, with authentically old-looking stones on the ground. Many minutes and about a mile-and-a-half of nosing through squeaking, squealing brambles later and the Discovery emerges onto a farm track, then public road. It’s a short, untesting stretch, but hey, if that’s it, we’ve done it. The Discovery has off-roaded. Land Rover says most owners say they do the same. Not just nosing into a field at a fete, but genuinely into something rough. This variant’s interior is a bit plush to be carrying filth inside it, but those Land Rover traits – switches you can use with gloves on, pedals you can operate with boots on – remain. Fit and finish is less slick than in brand new rivals and the sat-nav/entertainment system, with what now seems like a diddy little touchscreen, was left behind a long time ago. But I like it in here, even if our route is a frustrating mix of heavy traffic, getting lost in Bath (the Fosse stops at some steps and takes a while to pick up again), and boring roads around the overgrown footpaths and bridleways that once were the original route. Then, just north of the M4, we find it. The road splits in two and between the forks a gravel track spears straight onwards. For what seems like mile upon mile but is probably much less, the Fosse Way ploughs onwards, open byway one minute, farm track and road the next, then choppy byway, puddle and ford. 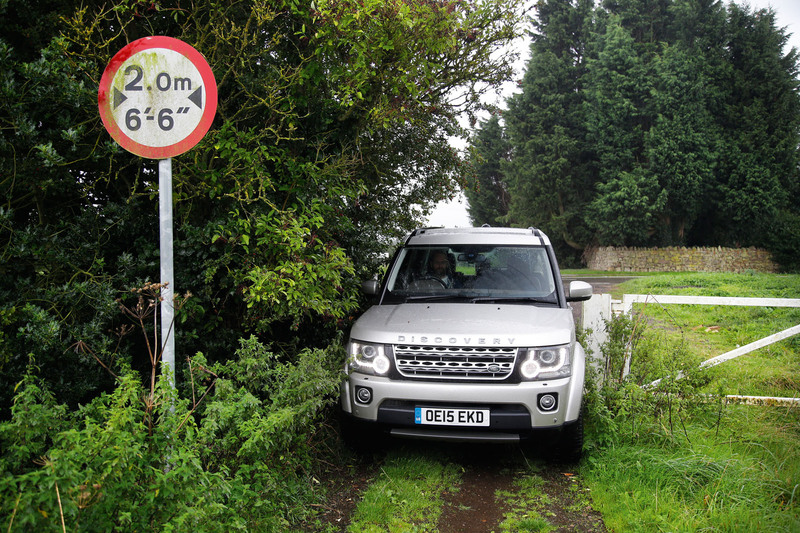 It’s nothing that requires the Discovery’s low-ratio or Terrain Response systems, at least not at first, but it’s off road nonetheless, until it crosses a road, the track narrows, goes uphill, narrows again and the Discovery squeaks through hedgerows until it reaches the boundary of Cotswold Airport at Kemble. Stan tells me that a couple of decades ago you picked up a phone by a gate and they escorted you across the runway. Today, though, it’s just a fence, so we do an eight-point turn and head back the last half a mile to the road and into Cirencester for the night. The next day is less giving of the off-road stuff, but after those few hours of driving slowly but covering distance surprisingly quickly, it no longer matters. The Fosse Way heads through the Cotswolds, onto some good ride-assessment roads on the way up to the A5, then crosses into one more stretch of rough track before becoming an altogether bigger road farther north. It heads through Leicester, where its path becomes part-hidden again, but then via the A46 through Newark and - if you’re prepared to duck off the new dual-carriageway, where it bypasses towns and villages - it’s simple to follow to its end point in Lincoln for one of those dreadful, clichéd end-of-the-road comparisons. One of these is an ancient feat of engineering but whose principles, updated, are as relevant and desirable today as they ever were. And the other one is a Roman etc… And so on and so on. Fit for purpose - if that purpose is half family estate car, half tractor. But no matter what they say, most owners do not take them off road, or even tow things with them. Still, in the right environment, a great car. "Still, in the right environment"....it will break down....now was that a Landcruiser or Patrol that just passed me as I sit on the side of the road? I've driven between 32,000 and 45,000 miles a year in 4 different modern Land Rovers (Freelande 2's and Disco 4's) since Spring 2011 and I say that you're wrong. How many miles have you put in in Land Rover products over that time? ... you didn't see either the 'E-Pace' or XF Sportbrake prototypes on your travels, Matt. Indeed, the Fosse is well travelled by JLR's prototypes, piloted by arsewipe drivers. The road has almost become too dangerous to cycle on midweek because of these nutcases. I've had too many close passes, it appears to be a source of amusement for them. Real offroad: "Land Rover says most owners say they do the same"
Seriously? What data do they have to back up that statement? Did they ask 7 farmers who bought a Disco or 1,000 school run mums......? In turn, what data do you use to back your claims up? Mine is still only 12 months old, it gets very muddy and it tows. Some might say ugly, inefficient and unreliable. I have only experienced following them on my bike or in my car. They do seem potent at releasing tremendous amounts of black smoke but I'm sure they're comfortable inside. What is amazing is that 30+ years after Volvo were pilloried for releasing 'boxy' vehicles (remember Clarkson's obsession) we have a car company pumping out these tractors which look like an uglier boxy 240....yet very few comment. Won't be missed (unlike the 240 which was rather practical)! Possibly more to do with those that insist on removing emissions control equipment for some marginal / fictitious performance gains. Not unique to Land ROvers though. My first Land Rover (Freelander 2) replaced a succession of Volvo V70 Phase II estates, with Volvo's going back in the family to a Volvo 144 in 1973. The 245/240 estate may have had a reputation but, in reality, it wasn't particularly spacious (it's space efficiency was shockingly poor), rode badly, drank like a fish and should have ceased production around 15 years before it finally did. Well obviously it will be missed by lots of people. Including me. And I would certainly not want the fake Range Rover replacement.